The regular service appointments we provide local homeowners with allow us to make sure any customer's garage door system doesn't needlessly suffer from a preventable problem. The springs are the ones that support the weight of your door panels, and as a result they are under a great deal of tension on a regular basis. Spring adjustment and lubrication are two crucial aspects of the maintenance service we provide, as they both ensure that these components aren't overstraining themselves and their performance remains smooth and quiet. The opener, which is both the engine and the "brain" of your automatic garage door system, uses a pair of special safety sensors in order to keep it from closing the door while there's an obstacle blocking its path. Misaligned sensors is quite a common problem, which is why during our maintenance appointments our technicians always test these important components and realign them to the correct position. 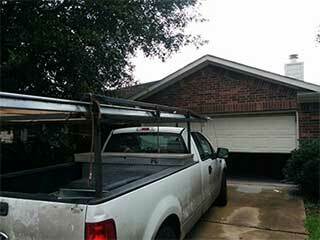 Dealing with problems is not something any garage door owner wants to have to do. That's why having our team regularly examine your overhead door and its various components is so important. It will allow us to take care of any issue on the spot and prevent complex problems from occurring. We even inspect the opener's motor and circuit board, to make sure no hidden malfunction is ready to manifest. Our experts at Garage Door Repair Las Vegas have been helping local homeowners with their garage door problems for a very long time. Over the years, we've developed a special maintenance routine that we apply to make sure no type of problem is left undiscovered. No matter what type of door you have, you can always rely on us to make sure it is in the best shape possible. Call us today.